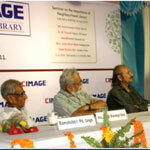 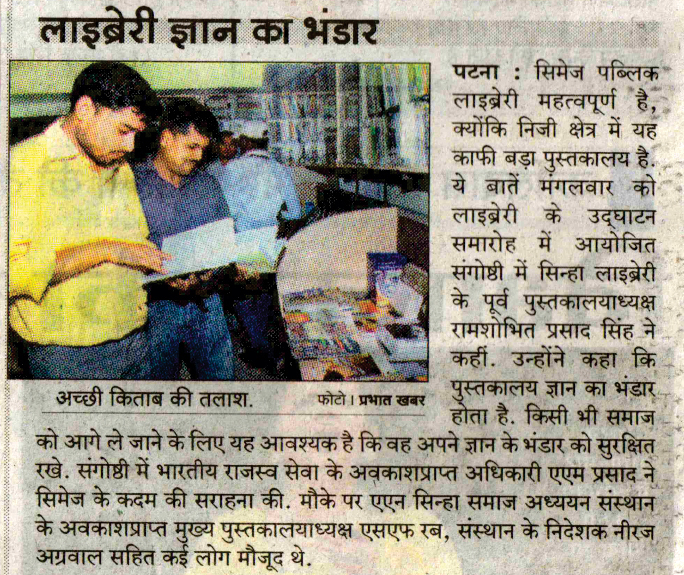 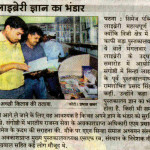 CIMAGE organized a Book Exhibition at the foundation ceremony of its Neighborhood Public Library. 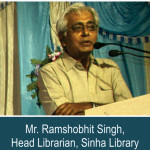 In this ceremony more than 50000 national & internationally acclaimed books are exhibited from the field of management, Information, Technology, Journalism and Editing, Arts & Literature, Political Science, and many more. 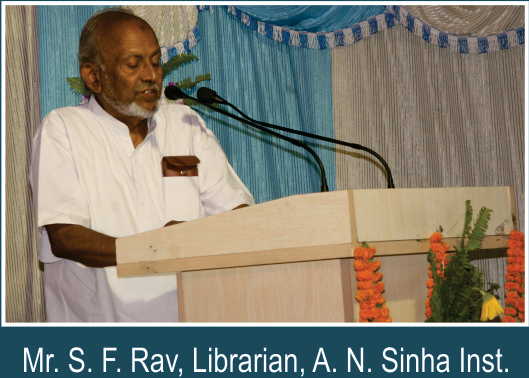 Our honorable guests who attended this program are Mr. Ramshobhit Singh, Head Librarian, (Sinha Library), Mr. M. Prasad, Ex. 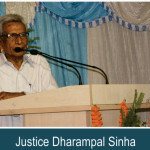 Spl. 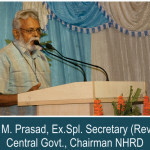 Secretary (Revenue) Central Gov. 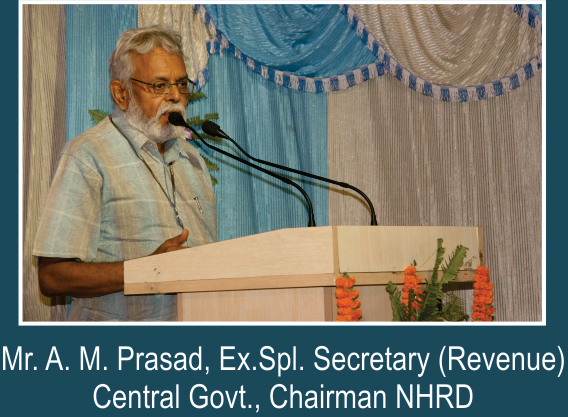 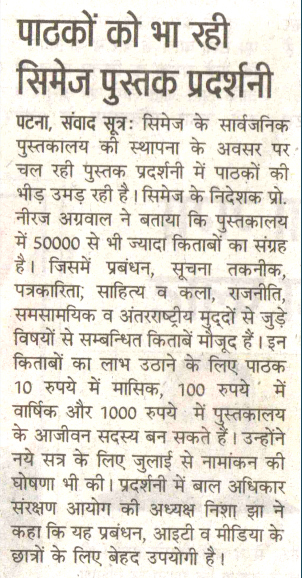 Chairman, (NHRD), Mr. S.F. 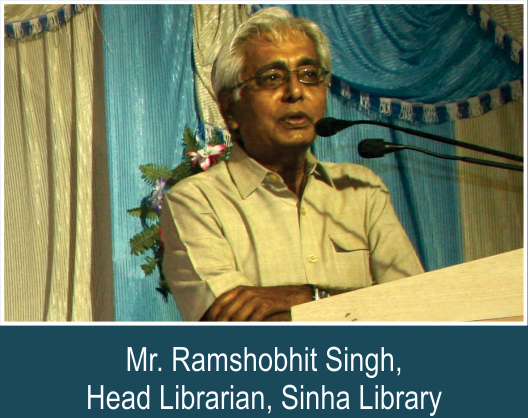 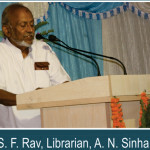 Rav, Librarian, (A.N.Sinha Inst. 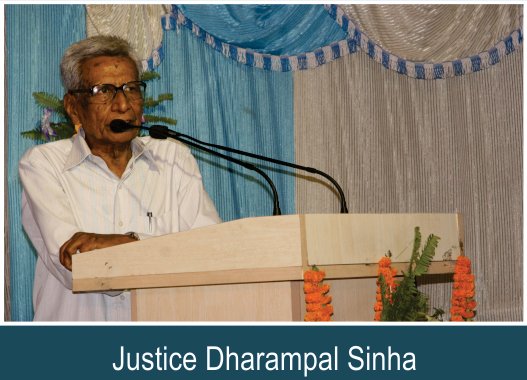 ), & Justice Dharampal Sinha.